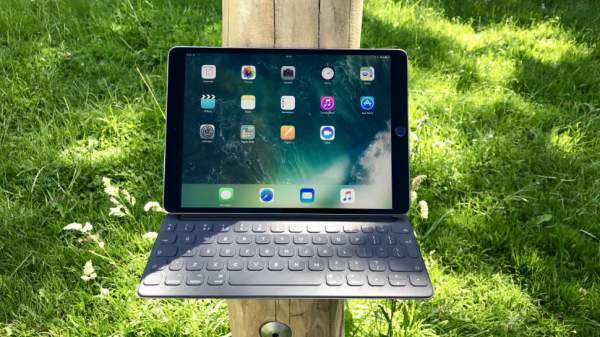 Apple iPad Pro 3 (2018): An Apple tablet has been listed by a certification body as it has passed through a required test. So, we are expecting that the launch is in the near future. It could be the September event. A rumor suggests that one variant will be an 11-inch variant with minimized bezels. With the recent launches of two models of iPad Pro, iPadPro 10.5 and the iPadPro 12.9, not garnering fame as much as expected, there are rumors that Apple Inc. is gearing up for something really big for the next rollout. So, here we have got a wishlist of all we ever wanted in a perfect Pad. But before that, let’s take a walk down the history lane and see the timeline of the earlier devices in this series. Apple launched the first iPad Pro in November of 2015 which was a 12.9 inches device which was followed by a 9.7-inch model in March of next year. These both devices were supposedly the First Generation devices in the iPro series. The second generation devices, 10.5 and 12.9 models hit the stores mid-June this year. As of now, all four of these devices run on iOS 11.0.2 and are available in both Wi-Fi only and Wi-Fi and Cellular Mode with a little variation in the price range. The camera will, probably, be the same as of the last version. It would sport 12MP and 7MP rear and front snappers. KGI Securities analyst Ming-Chi Kuo told that Apple’s new tablet will come with a TrueDepth display and Face ID. It would be consistent with iPhone X and will boost competitiveness. TrueDepth Cameras will be limited to Apple’s main flagship tablets, iPadPro. It would come with facial recognition instead of a fingerprint scanner under the display. Related: google play services apk. Apple may introduce a new 10.5-inch model with slimmer bezels and new display technology. Existing features like True Tone display with 120Hz refresh rate, quad-speakers, and Smart Connector will return. So, now coming to what is about to come up! With the present flagship Apple iPhone X already in stores, the rumors are ripe that the next flagship would be a massive upgrade in the Pro series. Here, is a comprehensive list of all the features we can expect from the next in line. The biggest expectation would be that these guys at Apple will have some sense of them this time and they will conjure something which can actually be given the tag of value for money. Seriously, no one would think of countering me when I say that these devices are priced outrageously when compared to the list of features they come packed in with. As on now, the second generation iPadPro devices come with a pixel density of 256 pixels per inch. One can say that it is good quality and not the best. After it’s the dawn of the era where 4K will be the new mantra, so why not work with the display of these devices and actually bring out the OLED on these too. One can’t say confidently that, 2nd generation iPads are not giving a battery good enough. In fact, if you use it just as a smartphone, you will be getting more than expected but is it not that, iPads were destined to be the ultimate replacement for the Laptops. Some users say that even after rigorous use, the backup is quite satisfactory but why to satisfy with just quite satisfactory. After, adding in a couple of hours won’t hurt much. If one looks at all the four models presently on shelves, one surely can’t make out one from another. The only difference looks wise is the size. So, we can’t be blamed if we ask for a complete overhaul when it comes to looks! Other than that, here are a couple of more things we would expect…. So, the next question which pops up is when is it gonna be a reality? When looked at the trend being followed by the Apple, one can easily predict that the next one in the lineup will be coming out some in the second half of the year, maybe September 2018. That way, Apple would have launched the devices in the series with a yearly pattern! The date is still speculated as rarely a device has launched at the same time of the year as of the previous generation. The iPhone XI is also expected to be launched this September with iOS 12 to be available on day one itself. It is expected to arrive soon as an Apple tablet has passed through the EEC (Eurasian Economic Commission) which happens not too long before the launch time. Likely at least £619/$649/AU$979 for iPad Pro 3 10.5, Apple may not release 9.7-inch model this time around. It will be costly for sure. Previous articleTrinity Seven Season 2 Release Date: When will Arata Kasuga (Anime Series) return to TV? Next articleJulie’s Greenroom Season 2 News: When Will It Release On Netflix?